There’s a bit of a nip in the air which is a sure sign that Cross Country season is officially upon us. You ladies continue to go from strength to strength just showing what those structured sessions can do to raise your game! November 3rd saw perfect conditions and a great turnout for the first cross country race at Hylands Park. There were a record 20 women out on the course and 4 girls in the junior race. Halle, Katie, Milly and Amie finished in true style. Vicky, Emily, Anna and Sophie scored for the Babes securing our fourth overall place in pool A. Lex, Karen, Michelle, Lynsey, Theresa, Marion, Claire, Sandra, Sue, Janine, Lesley and Davina also kept the other teams at bay gaining good positions in a big field. The ladies shone again at the final of the Essex Grand Prix series, the Stebbing 10. Emily, Eileen and Anna took home a team silver medal for the race and the series, with excellent performances throughout. Barbara was also awarded gold in her age category for the series. There were more noteworthy times for Marion and Miriam in their first 10 mile race and for Sue Thomas who picked a bronze standard. Janine, Karen and Ruth should also be proud of their efforts. Closer to my future neck of the woods, Karen completed the Norwich half marathon on 24th November. She finished a very respectable 9th lady home in her age group. 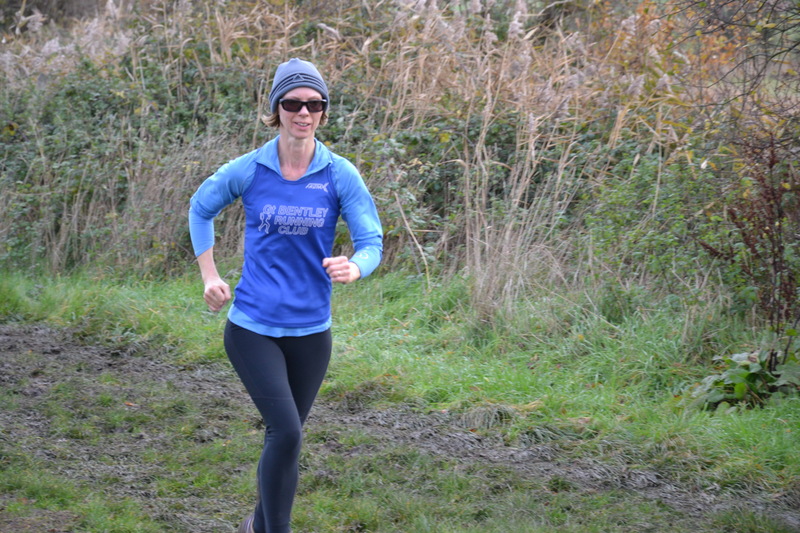 On the same weekend, Theresa headed to Hadleigh for the popular 10 mile race and pushed Des around the course in a good time (!). Another November is over and even though not everyone has been out training, I know that you have preparing for the future Cross Country Races. My vote for Runner of the Month for November has to go to MARION SIMMONS. She is making great progress both at training and in races and I really hope that this will spur her on to even greater things! She is also an excellent press reporter among her many other skills. Keep up the good work! The Presentation evening is not far away now and I hope to catch up with you all there and/or at Cross Country this Sunday, before I head off. In the meantime, take care and keep enjoying your running!